As April begins and the Azaleas start to bloom, the sports world turns its eyes from the madness of the NCAA tournament to the serene winds in eastern Georgia. For one weekend out of the year the most watched sport on television doesn’t involves slamming into other humans at top speed. Here, finesse is valued over brute force. Accuracy and consistency are more important than flashy ball movement. As thousands flock to the banks of the Savannah River, it’s clear as day. At the height of the Great Depression, most of the more refined things in America were folding, but Augusta was just beginning. Built on a former plant nursery, the Augusta National Course was designed by Bobby Jones and Alister MacKenzie as Jones’ dream course. The original course was influenced by the Old Course at St. Andrews, but has undergone many changes since its inception, crafting the hodgepodge of architecture styles we see today. At 7,768 yards long Augusta National has never been given an official slope or course rating, showing just how hard the course is. There are 41 bunkers, 6 water hazards, and 100 acres of fairways between the first tee box and the last flagstick. The fairways and rough are primarily composed of ryegrass while the greens are bentgrass. Both of these grow extremely quickly, and require constant maintenance so they look like they do on Masters Sunday. While there are many iconic stretches of what many consider the best course in golf, Amen Corner sticks out as the most well-known. The second shot on 11th, all of 12th, and the first shot of 13th were nicknamed “Amen Corner” by Herbert Wind. The 11th is a 505-yard par-4. With a slight dogleg left, the tee shot isn’t a problem for most pros. But to get on the green in regulation a player has to hit their ball over massive pond up the left side. Look for competitors to aim their tee shots up the right side of the fairway in an attempt to take the water out of play. Once safely on, putting is usually not a problem on the 11th. The 12th is an entirely different beast. One of golf’s most famous holes, “Golden Bell” is a 155-yard par-3. Seemingly easy right? Wrong. From the tee, golfers have to clear Rae’s creek onto a horizontal green that is protected by bunkers on both the front and the back. Varying winds change this whole from a nine-iron to a six-iron daily. The pin placement (usually the front right of the green) makes the hole even harder. All in all, the 12th hole is one that will ruin a player’s weekend. The 13th is a short par-5 (only 510 yards) but plays an L shaped dogleg left and requires near perfect accuracy to go for the green in two. After the tee shot, “Azalea” is a relatively easy hole which most pros should get at least a par. There has been talk of expansion, but nothing official has been released yet. Like all good things, there has been some controversy surrounding the Augusta National course. Golf Digest has reported that the water hazards are the perfect shade of blue because they inject food dye into it. I wouldn’t be surprised if the greens were spray painted because I fully believe nothing in the world is that green. But in general, The Augusta National Golf Club will test every facet of a player’s game, proving the winner to be a true master of his craft. Here are some quick facts about golf’s most prestigious tournament. Augusta National Golf Club opened in 1933, hosting the first Masters Tournament in 1934. The course record is a 63 (recorded by Greg Normand and Nick Price) while the 4 round tournament record is a 270 (recorded by Tiger Woods and Jordan Spieth). The legendary Jack Nicklaus has the most Masters wins (6) while Woods is the youngest player to ever win (21). Woods also holds the record for the largest margin of victory (12 strokes). 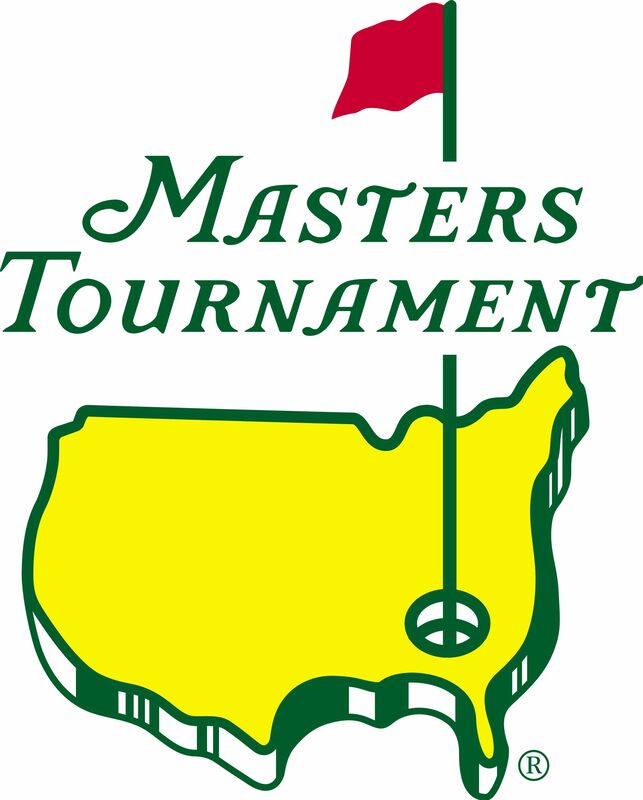 The purse at the Masters ($11,000,000) is the second largest of any PGA tournament, only behind The Players Championship. Starting in 1949, the winner of the Masters has received a green jacket, one of the most coveted items in the sport. There have been 15 non-Americans to win the Masters (and 37 Americans). However, the history of the Masters isn’t all great shots and exciting wins. The tournament and club are often marred with controversy due to its strict membership rules. African Americans were barred from membership until 1990 and women were barred until 2012. The club required caddies to be black but barred black golfers from the Masters until 1975, furthering the image of segregation within golf. Since 1975 there have been two people of color to win the tournament: Tiger Woods and Vijay Singh. This year the field is projected to contain 15-20 people of color, meanwhile Augusta will hold the first Augusta National Women’s Amateur. Last year’s tournament saw Patrick Reed (now the second ranked golfer in the world) win his first major, leading for the final three rounds. Reed had 24 eagles or birdies over four rounds to finish with a final score of 15 under, beating out Rickie Fowler by one stroke. Tiger Woods competed in his first major since spinal fusion surgery finishing T-32, while Jordan Spieth blew a day one lead but still finished 3rd. John Rahm finished 4th, the highest of any non-American. While much of the Augusta National Golf Course has remained the same, the 5th hole was lengthened by 40 yards and two new bunkers were added to the left of the fairway in the landing zone. For those of you who only watch golf once a year there will be some other distinct differences in the way the game looks. New PGA rules to modernize the sport have drastically changed the look and feel of the game. Players now drop from knee height instead of shoulder height, the time to search for a ball has been shortened from five minutes to three minutes, there are no penalties for an accidental double hit, spike mark damage on the green can be repaired, if a ball accidentally moves on the green it can be replaced without penalty, and most notably, golfers can now putt with the flagstick in the hole if they so choose. All of these rules are meant to speed up and simplify the game of golf, which at its core shouldn’t be complex. The best players will be the ones who can put the ball in the cup in the least strokes, an obvious, but oft forgotten point. Tiger Woods (Vegas Odds: 12/1): Even though he hasn’t won a major since 2007, how can you bet against the best golfer to ever play the game? Fresh off a Tour Championship win and top 8 finish at the WGC Dell Technologies Tournament, Woods is primed to make a run for his fifth green jacket, moving one step closer to 18 majors and 82 tour wins. Phil Mickelson (Vegas Odds: 28/1): The Lefty has won the Masters three times and ended his winless streak last season. He beat Tiger in “The Match” and won the Pebble Beach Pro-Am shooting a bogey free final round. With his impeccable short game and high-risk high-reward style, Phil can’t be counted out. Bubba Watson (Vegas Odds: 35/1): Another lefty, the self-taught Watson has won the Masters twice and had a stellar season thus far. While he has yet to win on tour this calendar year, Bubba’s power off the tee puts him in contention at every tournament he plays in. He is ranked 16th in the WGR and seems primed to put his stamp on Augusta. Jordan Spieth (Vegas Odds: 20/1): Spieth has been in an undeniable slump this year. In eight starts he hasn’t finished higher than T-35 and has been a mess all around. He is 204th in strokes gained off the tee, 213th in driving accuracy, 186th in putts per round in the final round, and 189th in putt percentage inside 10 feet. Why does he have a chance to win? He has 3 major championships, holds the record for the lowest tournament score at Augusta and is only 25 years old. If he can get everything to come together like in 2015, Spieth has a serious chance to win his second green jacket in five years. Patrick Reed (Vegas Odds: 40/1): He won it last year, why can’t he do it again? Reed has been the epitome of average this year on the course. He hasn’t won on tour this year, but his consistently made cuts and played good golf. Augusta brings out the best golfer in every pro, especially those who have won in the past. While there have only been three defending champions to win the Masters the following year (and the last two have missed the cut the year after their title), Reed’s consistency could be key if the rest of the field falters. Dustin Johnson (Vegas Odds: 10/1): Johnson is the top ranked golfer in the world but has never finished higher than T-4 at the Masters. He has won a tour title in each of his first 12 seasons and has 20 career wins on tour. He is 7th in FedEx Cup points and has been incredibly consistent this year. He is 2nd in strokes gained this season and top 50 in almost every measurable in the sport. Johnson should be one of the favorites to win his first green jacket this year. Brooks Koepka (Vegas Odds: 14/1): Koepka is third in the WGR and has three major titles under his belt. The reigning PGA Player of the Year crushes the ball off the tee and seems to always end up at the top of leaderboards in majors (he has won 3 of the last 6 he has competed in). The only part of his game that needs work is his putting (181st in strokes gained on the green) but with a win under his belt this season, he will be a tough out at Augusta this year. Rory McIlroy (Vegas Odds: 8/1): Rory comes in with the best odds to win the Masters and for good reason. He has had 6 top 10 finishes this season and ranks 1st in total strokes gained. He has made the cut in every tournament he has competed in, finishing in the top 6 in 6 consecutive starts. After losing 7 straight times when placed in the final pairing on Sunday, Rory finally got that monkey off his back, winning The Players with a score of -16. He has finished in the top 10 at 5 consecutive masters and is having the best statistical season of his PGA career. He is rightfully the favorite to win. Rickie Fowler (Vegas Odds: 20/1): Always the bridesmaid never the bride seems to be an apt description for Rickie Fowler. He has finished second at every major during his career, but has never won. The most popular golfer on tour not named Tiger has come so close so many times, it’s weird to choose him as a favorite. Fowler finally won his fifth tour event this year, and maybe now is the time for a win. Bryson DeChambeau (Vegas Odds: 16/1): The man who is bringing science to golf is one of the hottest players heading into the masters. After closing out 2018 with 2 FedEx Cup playoff wins, DeChambeau has 1 tour win this season and 7 made cuts this season. He has championed the new “flagstick in” style of putting and is consistently working on ways to improve his game. While he has never finished higher than T-21 at the Masters, his continual improvement makes him a contender this year. Xander Schauffele (Vegas Odds: 35/1): Schauffele has two wins on tour this year, and the former PGA Rookie of the Year seems ready to make a run. While he has only made the cut at the Masters 1 time he is ranked 2nd in FedEx Cup points and 4th in total strokes gained. Every time he steps on the course he shows he is ready to win his first major, and the Masters is a good start. Matt Kuchar (Vegas Odds: 40/1): Kuchar has never won a major but has a win at The Players and two wins this season. His short gamei is one of the best in golf and his driving accuracy is top 5. There has been some controversy around Kuchar this season in regards to his caddie, but he is still one of the top golfers in the world and has the potential to win a green jacket. Paul Casey (Vegas Odds: 30/1): Casey has finished in the top 15 in the past 3 Masters and has 1 win on tour this year. Everything about Casey’s game says he is ready to take the next step into the upper echelon of golf except his putting (183rd in strokes gained on the green). He has 3 top 10 finishes this year and there’s no reason he can’t win his first Masters this year. With tons of great storylines heading in, this year’s Masters has the potential to be one of the best of all time. Can Tiger complete his comeback tour with a major? Will we have a new winner donning the green jacket? Will those slumping continues their slump or break out to put on a show? All these questions will be answered by the time Game of Thrones premieres on April 14th.